A crack in brick mortar usually indicates excessive structural stress, which can be the result of several causes. Left uncorrected, the damage will worsen. 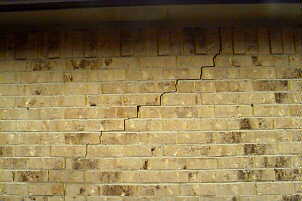 A structural engineer should be called in to determine the exact cause of the problem and recommend a course of action.